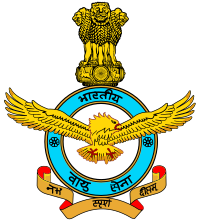 Indian Air Force - IAF published an official notification for Recruitment of MTS, LDC, Carpenter & Others for 54 posts. Eligible candidates can apply for this recruitment. You can view more details about this recruitment including No. of posts, name of post, Educational qualification, Age limit, Selection process, How to apply etc... You can also view official notification and other important facts about this recruitment e.g. Important links and Important dates. Multi Tasking Staff (MTS): Matriculation pass or equivalent qualification from a recognized University or Board. Desirable: One year of experience as La-scar from an Organization or Institute. House Keeping Staff (HKS): Matriculation pass or equivalent qualification from a recognized University or Board. Mess Staff: Matriculation pass or equivalent qualification from a recognized University or Board. Desirable: One year of experience as Waiter for Washer up from an Organization or Institute. Cook (Ordinary Grade): Matriculation pass or equivalent qualification from a recognized University or Board with a certificate or diploma in catering, One year experience in the trade. Carpenter: 10th pass from a recognized Board or Institute. Industrial Training Institute Certificate in the trade of Carpenter from a recognized institute. OR Ex-Servicemen in appropriate trade viz. Carpenter Rigger. Painter: 10th pass from a recognized Board or Institute. (ii) Industrial Training Institute Certificate in the trade of Painter from a recognized institute.OR Ex-Servicemen in appropriate trade viz. Carpenter Rigger. Vulcanizer: Matriculation pass or equivalent qualification from a recognized University or Board. Age limit: 18 to 25 years (age relaxation of 03 years for OBC, 05 years for SC/ST, 10 years for PH & widow and divorced women and as per Central Govt Rules as applicable. Final Selection will be based on Written test & Physical Test. Address: View Address in our mentioned link of advertisement. Last date for submit application: Within 30 days form advertisement published.